Whether you want to check out what the city has on offer, or just relax indoors, the four-bedroom penthouse is a perfect choice. 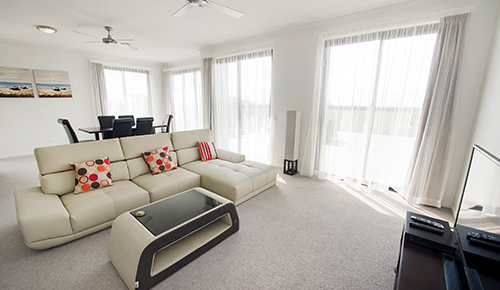 With the fully equipped kitchen and large entertainer balcony with views of the harbour and city, we're confident that you'll have a hard time leaving. The four-bedroom penthouse also comes complete with three queen beds, two single beds, separate living and dining areas, a fully equipped laundry and a work desk. With comfort like this, you'll find yourself wishing for just one more night. All guests enjoy free Wi-Fi access and secure undercover parking.